Joey Skaggs pranked the 1992’s Democratic National Convention. 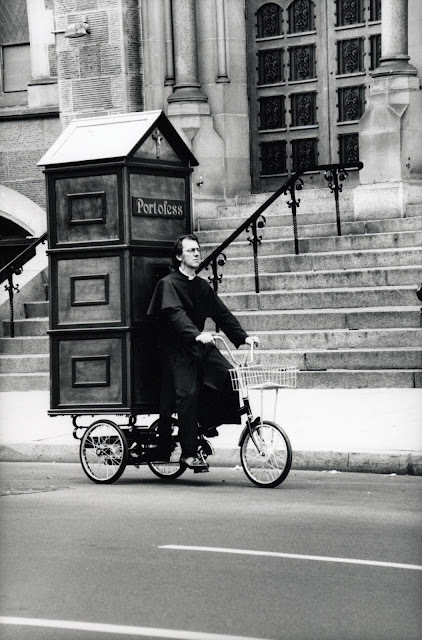 He pulled up with his Port-o-fess claiming he had been sent by the Archdiocese in California. Concerned religious leaders, taking a more aggressive stance, were bringing confession to where the sinners are.